I have uploaded this in response to a request received as it does not seem to have been shared here before - All thanks to my fellow purchasers on Immortal Forum. We bought this book together and I converted from Forward Chess format to PDF/EPUB/PGN. If you are ready to play the Ruy Lopez with Black, you also need to be prepared if White avoids the Ruy. In this book Victor Bologan covers all relevant lines with a well laid-out, clearly explained and eminently playable set of responses. 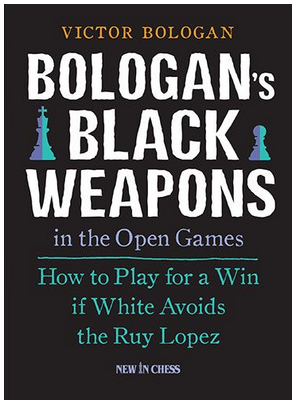 But Bologan's Black Weapons in the Open Games is not just another chess opening repertoire book. Bologan presents TWO different options against every main line: a common sense approach and an aggressive weapon. It’s actually two books in one!